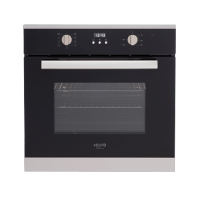 With double glazed removable inner doors and full inner glass on both doors, this multifunction double oven is as stylish as it is practical. The top oven can be used for light oven cooking, conventional cooking, full grilling, and bottom element cooking, while the bottom oven supports oven light cooking, fan forced cooking, fan grilling, bottom element cooking with fan, half grilling, conventional cooking, and thermo wave fan assisted cooking. 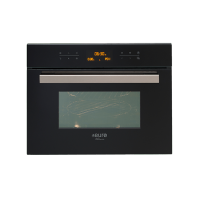 This multifunction double oven is designed to offer ease of use and comes equipped with a telescopic rail set and a timer touch clock function control. 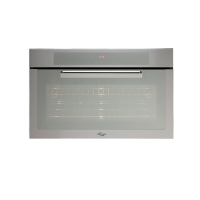 Manufactured to the highest quality standards in Italy, it also features a well-designed cavity cooling system. 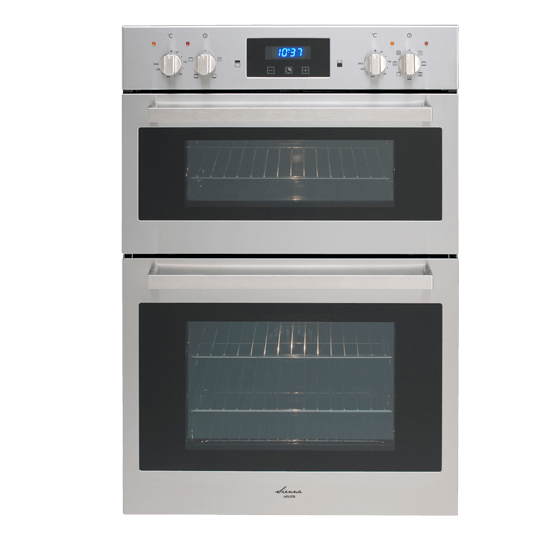 For a high-quality multifunction double oven in Perth, you’ll find nothing better than the Stainless 60cm Double Oven at Ross’s Discount Home Centre. Buy this multifunction oven at the best possible price from our online store today and take advantage of our 14-day money back guarantee!